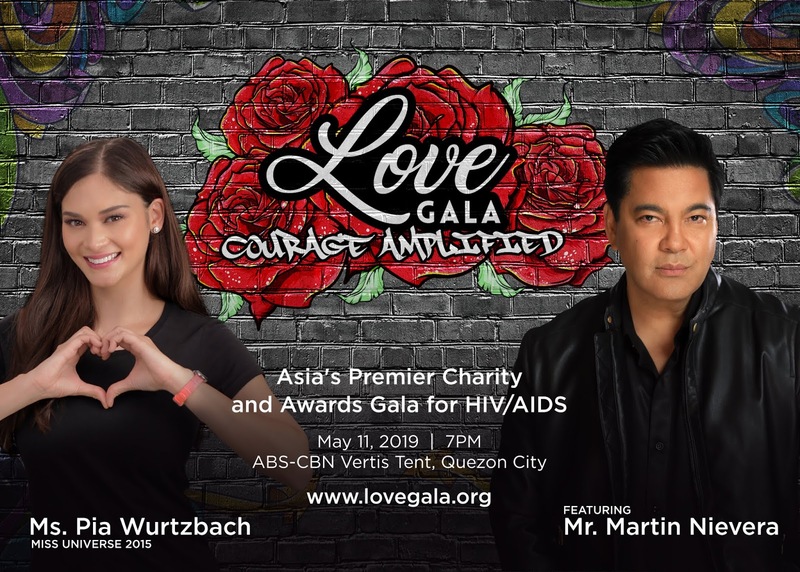 Martin Nievera, the Philippines’ concert king, will lead the performances at the Love Gala 2019 on May 11, 2019 to sing out more courage for the HIV advocacy. Being in the music industry more than three decades, Nievera supports Love Gala 2019 to use his influence in further raising awareness of the HIV cause. With the theme “Courage Amplified,” Love Gala 2019 – the Asia’s Premier charity and gala, provides an opportunity for people to be brave and show support for the HIV advocacy. Miss Universe 2015 and UNAIDS Goodwill Ambassador for Asia and the Pacific, Pia Alonzo Wurtzbach headlines this year’s charity event to be held at the ABS-CBN Vertis Tent, Vertis North, Quezon City. The Love Gala 2019 – powered by LoveYourself, Inc. and UNAIDS, will also confers the 2nd Ripple Awards to five (5) outstanding individuals, (3) organizations and one (1) project of the year who have greatly contributed in changing the HIV landscape in their communities. To join the charity-gala that entails a night of exquisite music, worthwhile fundraising and heartfelt recognition of movers in the cause, tickets are available at www.lovegala.org.ph. LoveYourself founder and executive director Ronivin G. Pagtakhan envisions Love Gala 2019 as an event that would gather supporters to create an even more powerful platform in furthering the HIV advocacy. A recent report from the Department of Health - Epidemiology Bureau showed that the numbers of HIV diagnoses have bloated from an average of two (2) persons per day in 2009 to an average of 42 per day in January of 2019. Love Gala was pioneered on 1 December 2017 during the celebration of World AIDS Day. LoveYourself and UNAIDS will hold Love Gala in time for the International AIDS Candlelight Memorial celebration this May. Love Gala is supported by AIDS Healthcare Foundation, World Health Organization (WHO), Department of Health (Philippines), PhilHealth, Save the Children Philippines, Philippine National AIDS Council, Pilipinas Shell Foundation, Inc. and Australian Federation of AIDS Organisations (AFAO); co-presented by Durex, Camber Pharmaceuticals, Inc., Digital Out-of-Home Ph; and sponsored by Gilead Sciences, Victoria Court, L'Oreal Philippines, SIP, Inspi Philippines, Absolut, Okamoto Philippines, Maquillage Professionnel, Business Mirror with contributions from Mont Albo, Shopee, Cognizant, Rotary International D3780, MASS TV, F1 Hotel Manila.